Montax imposer is a plugin for Adobe Acrobat 6 or later (not Acrobat Reader). It is a tool for imposition, placing several pages from PDF document on one or more sheets. This plugin simplifies printing of business cards, tickets, invitations, but also newspapers, magazines, calendars and books. It can be used for offset print, prepress, copyshop, and it is also useful for personal needs. The output of Montax imposer is PDF for any digital printer, imagesetter or CTP. Montax imposer allows you to impose pdf very quickly by various ways. In addition to the standard N-UP imposition, in which pages are imposed side by side to a sheet in the order from the PDF source, it allows many other variations. The 'Cut and Stack' imposition is determined e.g. for numbered tickets print - after cutting the sheets just stack the blocks and tickets will be already in the correct order. Another type is the 'Booklet' imposition which is used for print of magazines, newspapers, books, etc. Montax imposer allows also sophisticated imposition variants, e.g. cross-fold, double cross-fold, their combinations and many other imposition alternatives. 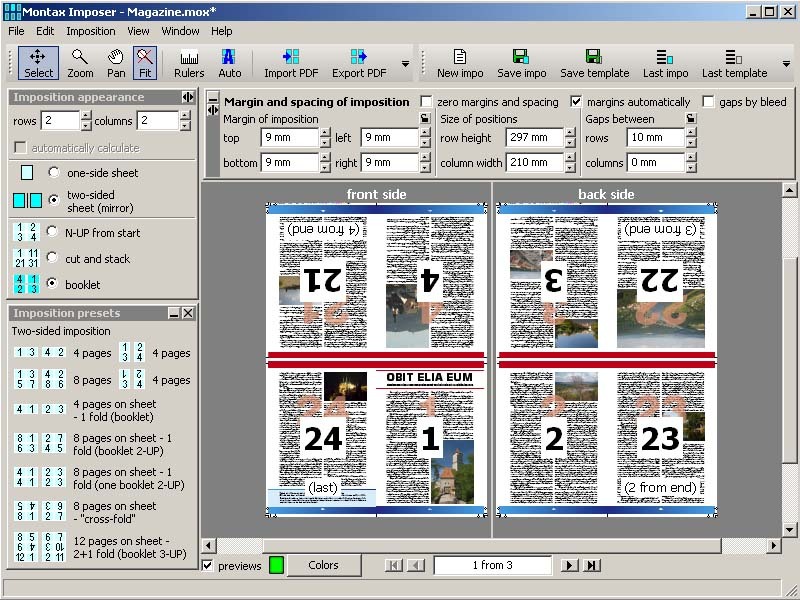 The Free version allows max A4 output size and up to 4 pages on a sheet. CardWorks Free Business Card Software helps you design and print your own business cards. Creating your own business cards is easy with a wide range of business card templates. This site does not contain serial number, crack, keygen Montax imposer Free serial number : serial number is the simplest type of crack. A serial number(cdkey,product key,etc) is register the program as you may already know. a crack or keygen may contain harmful software. If you cannot find the exact version you want, just give it a try. for more information read .nfo/.txt/.diz file include in zipped file.